I’ve invited Amie from Fitness Forster back to the blog after her Flourishing Entrepreneurs interview to bring us a tasty sweet treat recipe. Amie is the queen of quick and easy snack recipes. As you all know if you’re regular readers here, baking and desserts are my weakness, so Amie and I thought we’d put our strengths to good use for one another and do a recipe swap! 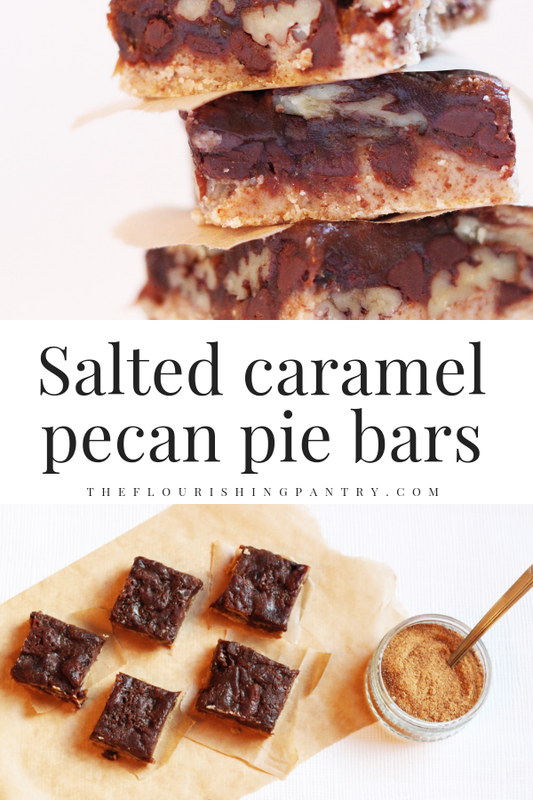 I’ve created this delicious spiced tomato butter bean recipe for her blog, and Amie is here with us today to share these delicious pecan pie bars. When it comes to baking and cooking in general, I am certainly a fan of anything quick and easy. As much as I do enjoy cooking up something delicious with a large variety of ingredients, the truth is, I simply don’t get many opportunities to do that. Don’t be fooled by the ingredients list here; it may seem long and there seems to be a lot of steps but I can guarantee this is a quick and easy recipe that only requires 15 minutes of preparing. If you are super organised, you could probably get that down to 10 minutes ;-). Serve these sweet treats warmed up with a dollop of ice-cream for a delicious dessert or simply have a piece on it’s own for a great little snack! Pre-heat oven to 175 degrees centigrade and line a medium baking tin with non-stick paper or grease with a little oil or butter. Leave to one side. Mix all base ingredients together to form a thick, dough-like mixture. Place the mixture into the baking tin and press down using your hands, ensuring it’s even. Pop to one side whilst you make your topping. Now it’s time to make the topping. Place coconut butter and coconut sugar in a microwaveable bowl and microwave for one minute. Remove, mix and pop back in for a further minute. Add vanilla, yoghurt, salt to the butter/sugar mixture and mix well. At this point add the lucuma powder, if you wish to. Mix well if you do add it. Grab the base back and sprinkle over chocolate chips and pecans, spreading them out evenly. Pour your ‘caramel’ topping over the pecans/chocolate chips and give the tray a little shake to ensure it’s spread out evenly. Bake for 30 minutes. Remove from the oven and leave to cool completely before cutting and digging in! Amie is a personal trainer, coach, healthy recipe developer and award winning blogger at Fitness Forster with a keen interest in making health and fitness accessible and easy to everyone. She is a firm believer that overall health and wellness doesn’t have to be complicated or difficult to include in your day-to-day life. 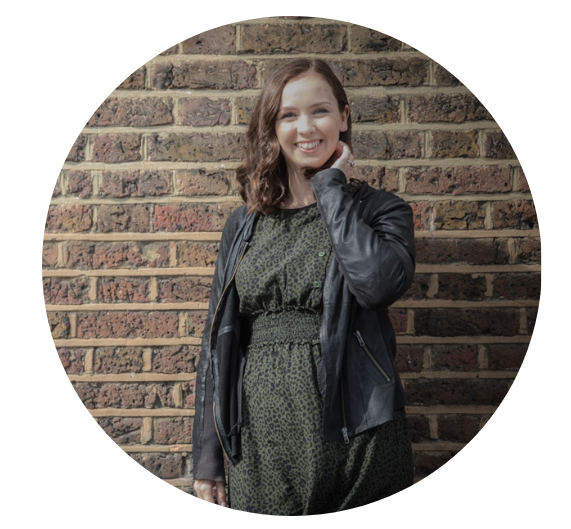 Amie is also an ambassador for the Health Bloggers Community and works alongside Yoga Instructor and fellow blogger Eleanor Coales to bring blogger networking, fitness and meet-up events to Yorkshire. Read my interview with Amie for Flourishing Entrepreneurs here. Like this recipe and don’t want to lose it? Pin to Pinterest and save for later!